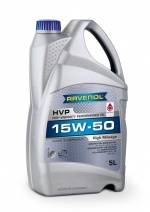 RAVENOL engine oils are developed to meet the specific requirements of the Vehicle Manufacturer. Our range may seem extensive but it’s a reflection of the multitude of different vehicle specifications in today’s market. Our advanced lubricant technology, which complies with internationally recognized quality standards, not only meets but often exceeds manufacturer specifications, as shown by the number of OEM and other approvals our engine oils have. RAVENOL’s patented CleanSynto® technology provides optimised lubrication and protection of critical moving parts, thus greatly extending the life of your vehicle and reducing costly repairs! With RAVENOL’s high performance engine oils, engines run smoother and cleaner, fuel economy and throttle response are improved, emissions are reduced and oil change intervals can be extended to the absolute maximum recommended by the vehicle manufacturer. So you can save money as well as giving your car the best oil it deserves! Whatever you do, don’t take a chance on cheap, “one size fits all” engine oils as many of them aren’t approved and don’t meet the specifications they claim to. Using the wrong oil can negatively impact performance, oil and fuel consumption and the durability of your vehicle. Also, modern engines include parts such as diesel particle filters which are sensitive to incorrect lubricants and may be damaged, leading to costly repairs. To find the best oil for your vehicle, first select the grade specified in the manufacturer’s handbook and then take a look at the approvals and recommendations on our product pages. If you’re not sure, put your car’s details into our Which Oil app or give us a call on 01686 650 640 to speak to one of our helpful staff. And if you’d like more information on how to understand oil labels to make an informed choice, please read our blog article on Choosing the Correct Oil for your Vehicle. Don't trust garages that only stock one 5W-30 and use it on all cars that come through the workshop, regardless of the make, model or age. A quality garage will only use approved oils specific for the parts on your car, such as RAVENOL, so ask your mechanic to show you the brand – and more importantly, the approvals! If you don’t trust it, buy the oil yourself from RAVENOL and insist that the workshop uses it. It may cost a bit more than a supermarket brand but it will save you much more money in the long run – plus you’ll know you’re getting a quality, professional brand you can trust.